Hamilton First Aid is the only St Mark James training service provider that offers high quality programs for extremely cheap rates. Full courses and stand-alone classes on cardiopulmonary resuscitation (CPR), first aid, and automated external defibrillation (AED) are available throughout the week, evenings and weekends included. Enrol today! The training classroom with Hamilton First Aid are neat, clean and tidy. 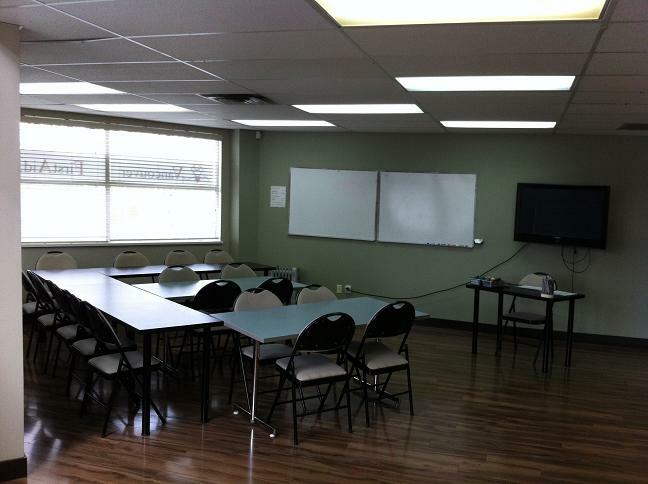 This provider boasts clean, well-maintained and conveniently located classrooms and facilities. Rates include taxes, certification, and St Mark James training manuals. You only pay once – during enrolment. There are absolutely no additional expenses. Full refunds are given to trainees who drop out, provided a 72-hour notice is done. CPR classes have three levels available, all inclusive of basic first aid and automated external defibrillation (AED) training. AEDs are machines that detect heart rhythms and apply needed shock to the heart. Level A includes adult CPR and AED training while C and HCP include adult and pediatric CPR and AED training. A and C are for first time trainees while HCP is for health care workers. Stand-alone classes for either CPR or first aid are also available to students who do not want to enrol in the full training course with Hamilton First Aid. Private classes are usually offered to big groups or companies. If you want to train at home or want to book training for an event, Hamilton First Aid offers private instructors for personal training. Certificates are awarded upon completion of the training program. The certificate is valid for over 36 months and must be renewed / recertified while still current. Refresher programs are held twice a week for the renewal / recertification of expiring certification. All classes are taught and overseen by St Mark James certified instructors in high-end training facilities. Classrooms are outiftted with the latest AED trainers and training mannequins. Blood loss – Iron is part of blood and when blood is lost through injures or menstruation, the iron levels in our body go down. Chronic blood loss through an ulcer or a similar injury can also increase a person’s risk of developing IDA.